High resolution, realistic, detailed, medically and anatomically accurate model of a complete respiratory system with all parts. - You can easly control mesh smoothnes of every part by aplied modifiers. THIS MODEL HAS BEEN TESTED AND WORKS IN ALL AVAILABLE FORMATS. 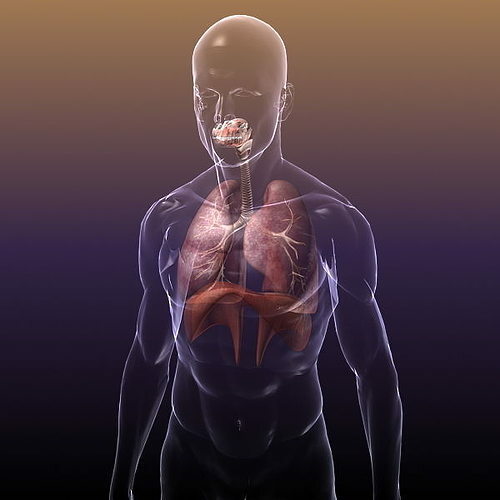 By using this model in your project you are sure to please your audience with a top class, accurate representation of the human respiratory system. Also check out my other anatomy models, just click on my user name to see complete gallery.